We will present you with treatment options, explain the procedures, and educate you in the maintenance of your oral health. We want you to feel secure in the treatment of your dental needs. We use the latest in techniques of local anesthesia, mild oral sedation and moderate IV sedation to assure you are comfortable during each procedure. We also offer nitrous oxide (aka "laughing gas"). Please notify us that you would like to use nitrous oxide during your treatment when you schedule your appointment. To help accomadate your busy schedule, we offer early morning appointments. For your enjoyment we offer videoglasses or a personal CD player with noise reduction headphones. Please feel free to bring a DVD or CD from home to watch or listen to while you undergo treatment. We hope you will never experience a dental emergency, but if you do, we want you to know we are available to you. During office hours, if you are having pain or experience any emergency, such as bleeding, swelling, or trauma - please contact us right away so that we may schedule the best available time to meet you. We will do everything possible to treat your problem immediately. 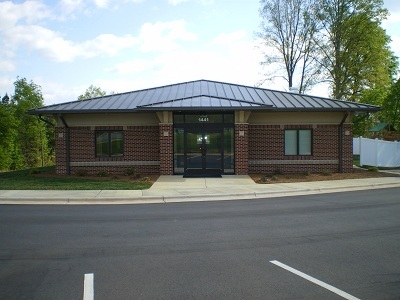 If an emergency occurs after hours, Dr. Robin's contact service is available by calling the office at (336) 765-1933.